Getting children to bed at night is often challenging for parents. Depending on the child, parents can find themselves facing resistance, anger, and even fear. For some children, their angst at bedtime stems from a fear of monsters hiding beneath their beds. While this can be frustrating for adults, it’s a problem that’s very common and may even be one that parents had themselves. The fear of monsters under the bed and in the dark has a long history and has become a part of pop culture courtesy of books, popular movies such as Pixar’s Monsters Inc., and stories handed down through the generations. To best help children overcome this fear, it’s helpful to learn more about it. Around the world, there exist tales of various monsters and creatures. These creatures vary depending on the country or region but are typically known to steal, eat, or otherwise harm children who misbehave. 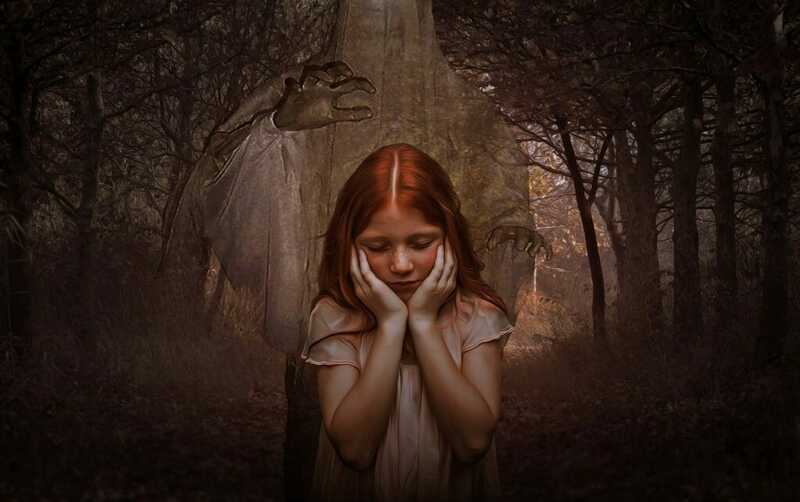 Despite the sinister and scary nature of these monsters, stories of them have often been used as a way to manipulate kids into behaving or doing what’s expected. It’s believed by some that the fear of monsters under the bed or in the closet may stem from these legends. Others believe the fear of creatures that lurk out of sight is instinctual and has more to do with the darkness and sleeping alone: Thousands of years ago, children did not sleep in homes as secure as modern houses, and as a result, a child who slept alone could potentially fall prey to wild predators if the protection of a parent wasn’t near enough to hear them cry for help. Why Do Children Become Afraid? For young children, their world is continually growing and is full of first experiences and new sights. Because these firsts are unfamiliar, younger children aren’t always able to determine whether what they are seeing is a threat to them, as they don’t have a frame of reference. A child’s ideas about what is and is not threatening are often based on interactions that they’ve had with their parents and the other people in their lives. Often, these are the individuals who intentionally or unintentionally first tell children whether a thing is bad or good. As a result, the child sees monsters as bad or scary. By the time a child reaches the age of 4 or 5, they begin to experience a heightened imagination and they become more familiar with fear. With time, their imagination can begin to manifest those fears into fantasies such as monsters that have the ability to terrify them. Fear is a natural emotion for small children, but when it is magnified, it can become a serious problem. Parents may find themselves at a loss when it comes to handling a child who complains of monsters under their bed or creatures that lurk in the closet. Doing the wrong thing can amplify these fears, which can create an even greater problem. Taking the correct steps, however, can teach kids how to cope with and eventually banish their fears. Listen: Kids need to feel like they aren’t being ignored. For that reason, it’s important for parents to engage their child in conversation about their fear. This should be done in a way that shows sympathy and understanding. Asking specific questions such as, “What type of monster is it?” or “What scares you about it?” can help guide the conversation. Help Your Child See That Monsters Don’t Exist: Parents should help their kids understand that monsters aren’t actually real. While some parents and experts recommend creating ways for kids to repel what’s frightening them, such as making a “monster repellent” that’s actually plain water in a spray bottle, others reject this strategy because it legitimizes the monster’s existence. Instead, parents are encouraged to help their kids overcome their fears by helping them to see that the monster doesn’t exist. This is done by looking for evidence under the bed, in the closet, or wherever the monster would hide if it was real. This can be made into a fun investigative game, during which parents should ask questions that can get kids thinking and further prove that these scary creatures are just a part of their imagination. Help Them Relax: Parents should look for illustrated and helpful books, audio CDs, and even videos that they can use to teach their children about relaxation and reducing their fears. By itself, learning to relax is helpful in minimizing fear by calming the limbic system. Once this skill is mastered, these children are less likely to worry about what’s lurking in the dark, in the shadows, or under their bed. Additionally, kids can also be taught how to self-soothe when they begin to worry or imagine that a monster is near. This includes taking a few deep breaths, repeating a fear-reducing phrase such as, “You’re not there,” or softly singing a song or tune that makes them feel more comfortable and safe.